Sorry I have been M.I.A for the last couple of days. I am still trying to do homework/sleeping/read all my textbooks after getting my other wisdom teeth out Friday. 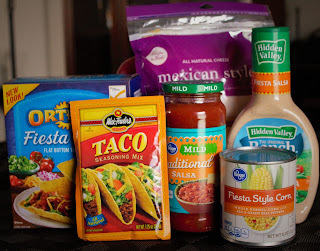 Anywho, about a week or so ago I was in the store (Kroger as always) and for seem reason I was wanting to make tacos. I love Mexican food like you wouldn't believe. There was a point where I use to eat it about three to four times a week. 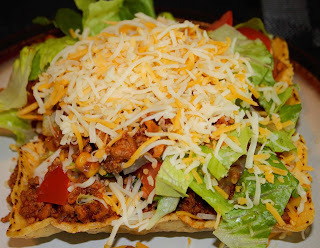 Originally, I was going to make tacos but ended up buying these tacos flats that I used to make a taco salad with. I usually make a taco salad one of two ways: as a regular salad that I end up putting taco meat on top of with salad dressing and the other way is how they do it at some restaurants where they use the tortilla bowls. 1. Brown the turkey meat in a heated skillet. 2. Drain turkey meat. 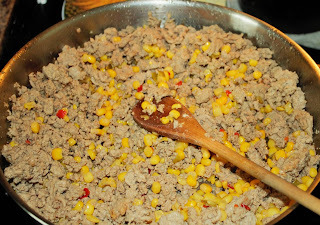 Add chopped onion and 1 can of fiesta corn. 4. Add taco seasoning packet (following instructions on packet). Simmer the meat and seasoning for 5-7 minutes on low. 5. Stir in 1 cup mild salsa. 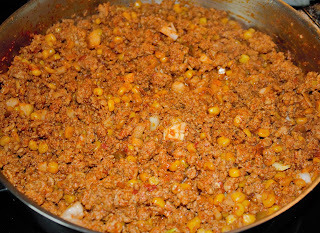 Cook mixture for another 5-7 minutes on low. 6. Place the tortilla flats on an ungreased baking sheet. Cook according to box (think it was 5 minutes). This is the end result of what I made. I added lettuce, tomatoes, and cheese on top. 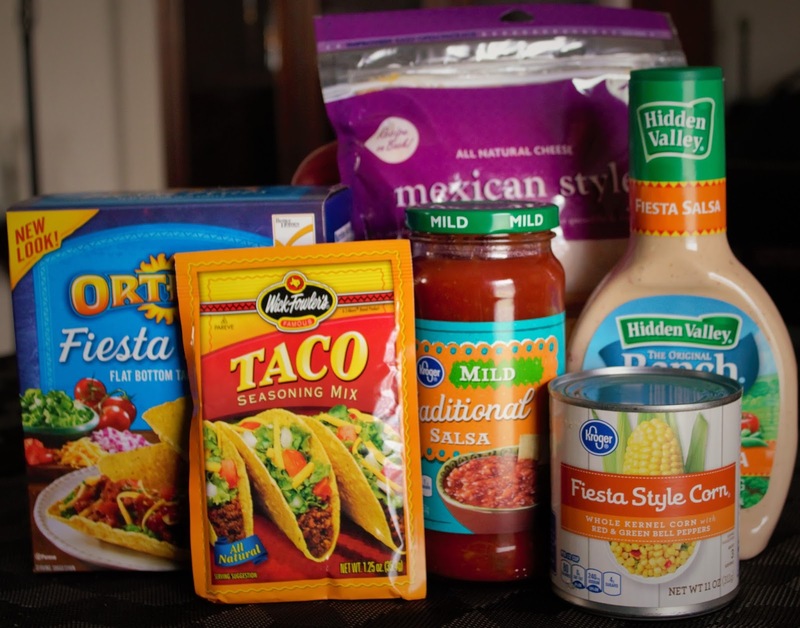 In the end, I put Hidden Valley Fiesta Ranch on it. If you have not tried this dressing yet, I would highly recommend it. One things I am going to start doing is posting one to two recipes a week whether it's a drink one or food. Since its' getting to be that time of year around these parts (4 more days and counting YAY!!!) I am going to be making more food and drinks. Is there anything that anyone would like to see on here food or drink wise? ?